The dilemma I am in right now is that I have recently painted Eden’s little small chest that I found for sale on Facebook several months ago (whew did it need a makeover!). It looks cute the way it is, but I wonder if if needs a little something MORE to set it apart and make it have some personality?? I will let you tell me in the comments! Yikes. Some paint jobs just don’t have enough words to describe them. Luckily, paint is a powerful resource!! 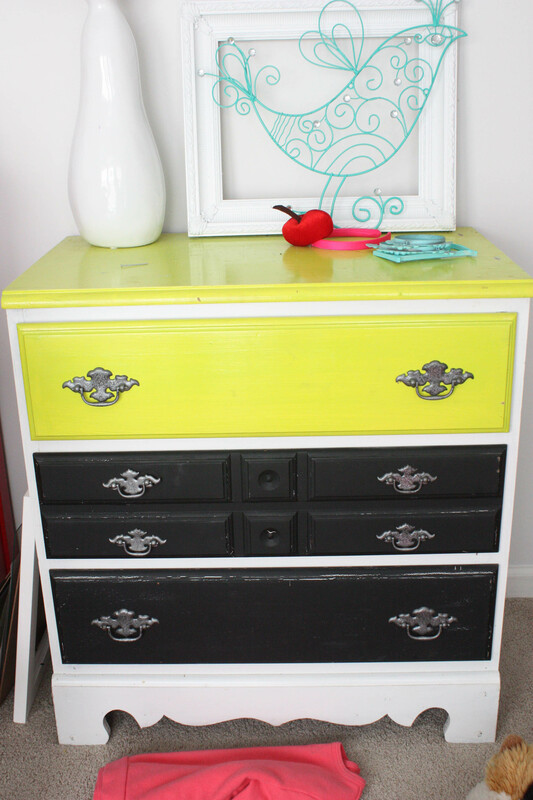 All I did for this piece was get my Purdy paintbrush (a good brush is vital in painting furniture) and start painting. 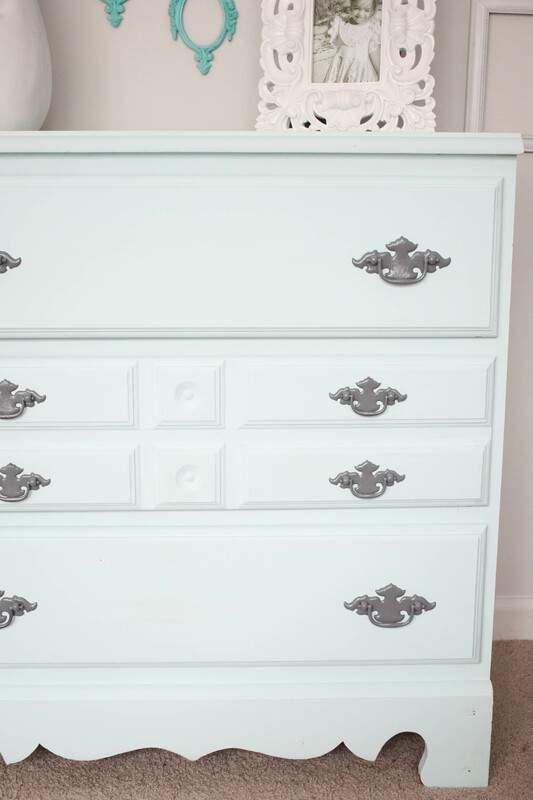 With chalk paint, there is no sanding required. It adheres nicely to most all surfaces. This did require 2 full coats, and I may even touch up some more spots soon. I didn’t even use half of this 8 oz tub, though. 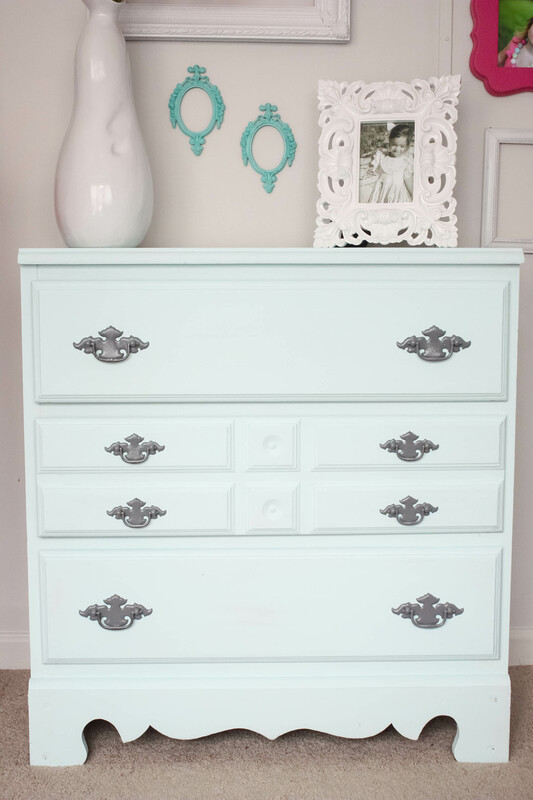 That is another good thing about chalk paint- it lasts a LONG time! Yes, it is pricier, but it is worth it. 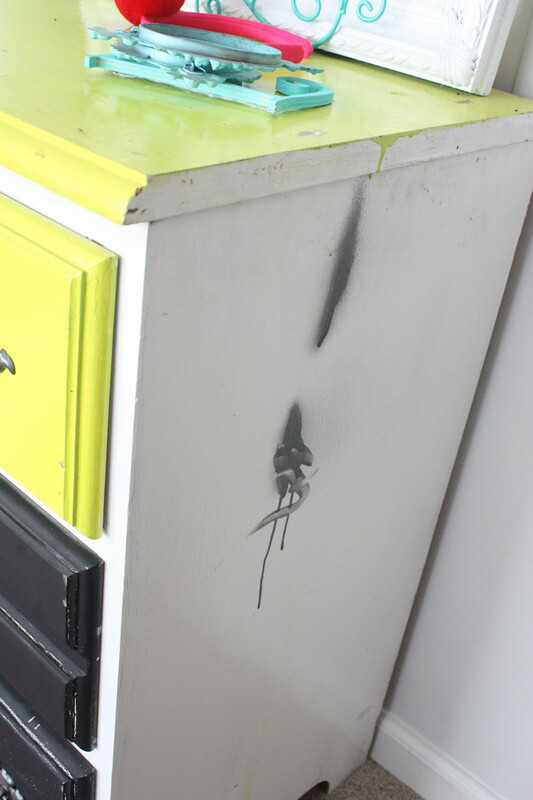 I also spray painted the existing hardware with Rustoleum’s Dark Gray spray paint that I had on hand. Here it is now~and what I need YOUR opinion on. Is it too “simple”, or is it just right? I had thought about doing a stripe down the middle like I have seen before or possibly some other designs to add character, but I don’t want it to be too much. Let me know your thoughts in the comments! And here is a little sneak into what the full wall looks like. On the left is Blaize’s chest from his previous Americana room, along with his little gallery wall, right beside Eden’s newly painted chest and her little gallery wall. His side is done in red, navy and gray…and her side is navy, hot pink and aqua with some gray. What do you think so far? There you have it! A cute little chest makeover that I am still debating over, along with a small little peek into what their shared room is looking like! Tell me YOUR thoughts 🙂 I can’t wait to hear. I want to be updated when a NEW post goes live! 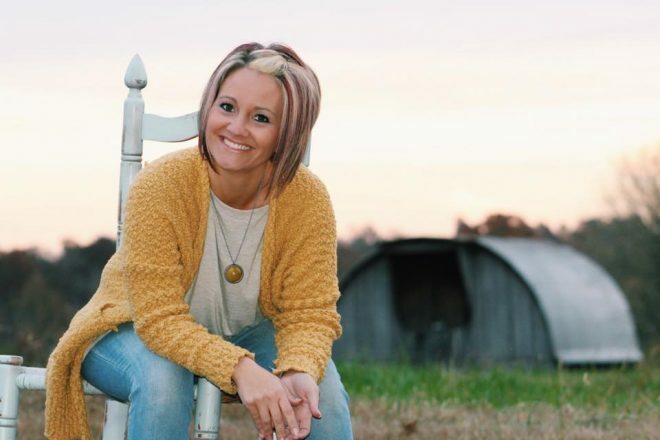 I think it looks gorgeous as is Brooke but if you did decide to do a stripe down the middle how about using one of those beautiful pinks from the frames on the wall? It is beautiful! I would add a touch of grey, which would also pull out the grey in the R and the photo frame. But it could add just some subtle detail to give the piece a little more interest. Just a smidge, not a lot of grey. I LOVE the simplicity!!! 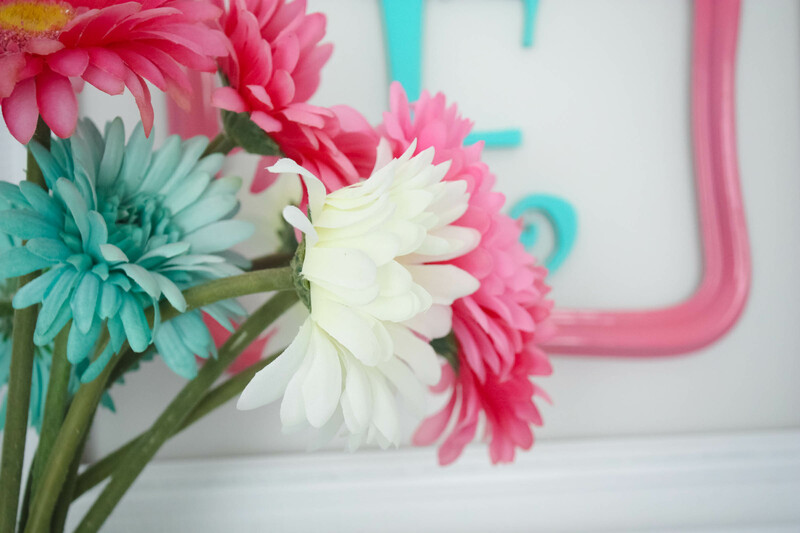 You have lots of other fun color pops and decor above and around it so it isn’t “boring” by any means. That color rocks my socks! It is perfect as it is. Beautiful color will go from little to older. 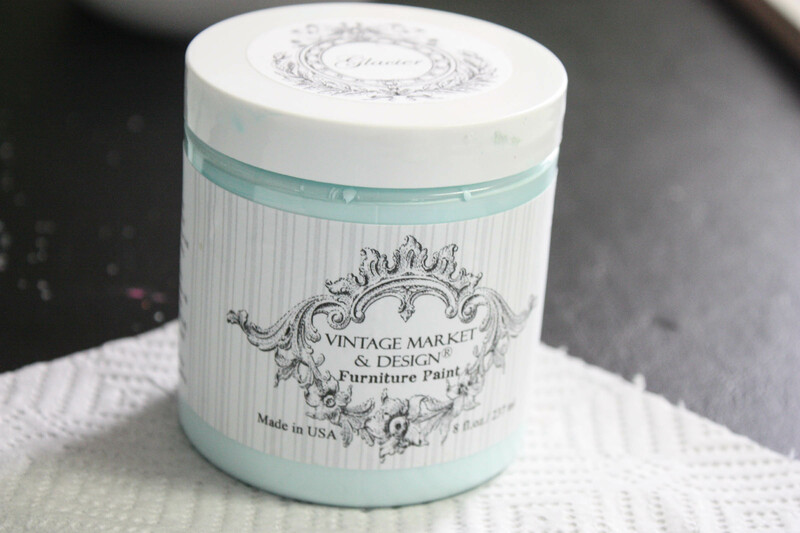 Because of you I have used Vintage Market chalk paint and just finished a piece in Glacier. It’s so beautiful. Love seeing all you do, creative person! 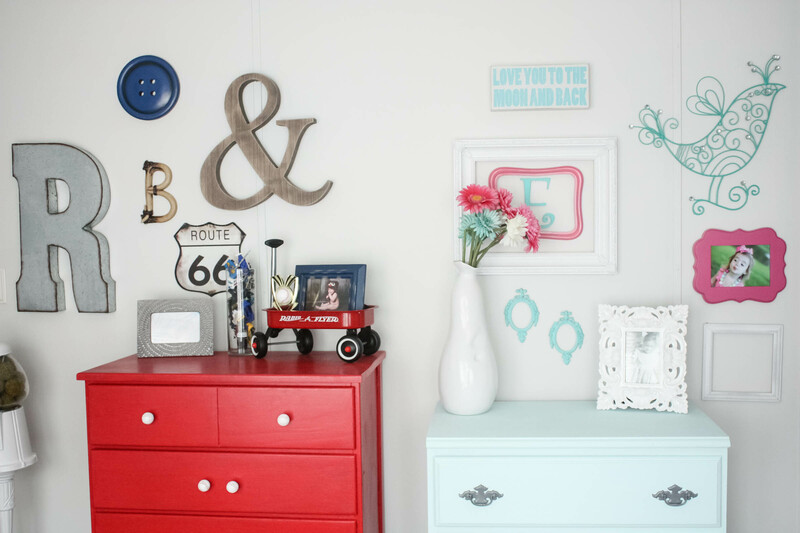 Hi Brooke – Love the colour – I think it would look nice perhaps by using a small stencil say, on the top and bottom drawer – either in a darker blue – something like the ‘E’ and the two small frames – or a pale grey? Another idea perhaps – is – you could put a light ‘glaze’ on it if you wanted more depth? I looked again. Can you put the middle drawer into the top slot? That may be all it needs. 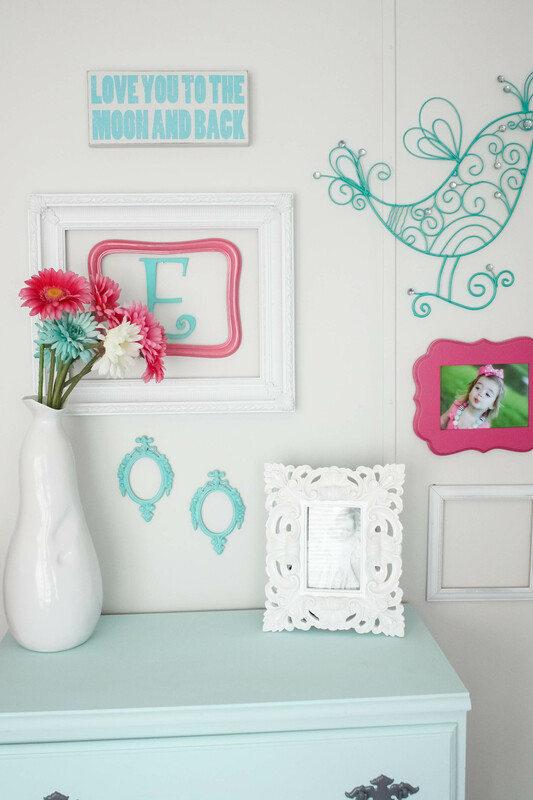 I think it looks gorgeous as is Brooke but if you were considering a stripe down the middle, what about white and one of the pinks used in the adorable frames hanging above the dresser? It looks beautiful. I would not change a thing. With the texture on the center drawer, I would just let it be. It is serene and interesting. Awesome job!!! How about a stripe or two made w/ washi tape? So easy to add/remove to change it up or get rid of if you decide you want it simple and classic again! I think it’s fine as is so that it doesn’t compete with anything on the wall. If you choose to add to it I would make it very subtle for the same reason. Maybe a stencil done in just a shimmer, or top coat the entire thing in a shimmer/pearly coat. Just my opinion. Love it! That color is so soft and gorgeous! Love it just the way it is …..you do such a great job on everything you do …..